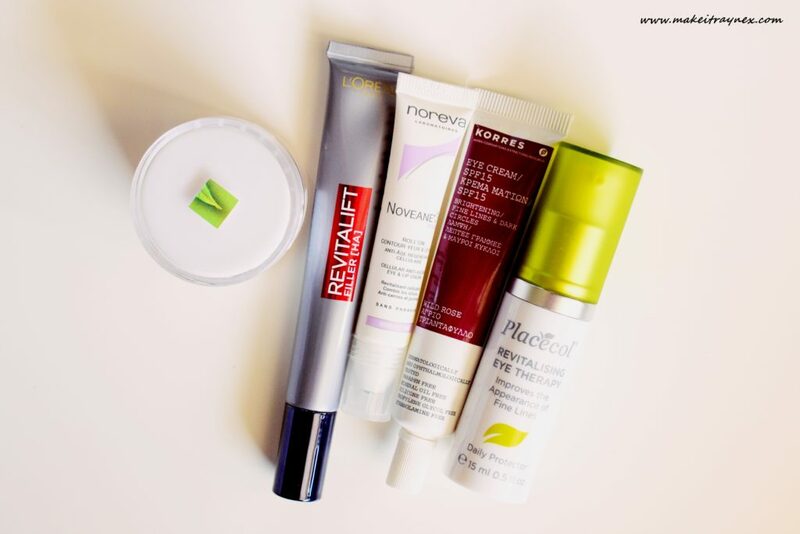 Today I’m chatting about five of the eye creams I have been most interested in reviewing against each other, for various reasons. They all range in price, size and uses. So let’s jump right in. Please keep in mind that the ‘Uses’ section will be what the packaging states and not what I necessarily feel the eye cream is good for. Uses: For brightening and moisturising under the eyes. Restores skin’s texture and skin tone. Can also be used on the upper eyelid. Aids in diminishing fine lines and dark circles. Rating: 4/5 – This eye cream reminds me a lot of the dermalogica age smart eye cream. I am not a fan of rose scents but this one is just delicious and the smell stays with you for ages. It only needs to be used once a day and it is nice and smooth. The hygienic nib applicator also gets my stamp of approval. Uses: Softens the look of lines and wrinkles while lessening the puffiness around the eye area. The nourishing ingredients include anti-oxidant properties which reduces the signs of premature aging. Rating: 3/5 – An overall nice eyecream for both day and night use. The formulation is super lightweight which results in your makeup sitting beautifully on top. The scent is a bit offputting at first but settles into something which smells quite fragrant. Uses: Protects and nurtures the delicate skin under your eye. Leaves the skin toned, conditioned and smoothed. Rating: 2/5 – This is a very weird consistency. The packaging specifically states ‘works well under make-up’. And it leaves your skin feeling primed and smoothe BUT it also becomes very creasy. I like it for night time use but the daytime wear is bad enough that I won’t be reaching for it often. I would much rather keep one on hand that can be used day and night. Also, the tub form is my least favourite kind as it can be unhygienic. Uses: Regenerating the delicate skin around the eyes and lips. Restores elasticity and suppleness. Fills in fine lines, wrinkles and micro-furrows. Rating: 4/5 – I am not a fan of dual products, and this being okay for eyes AND lips is kind of weird to me. However, the steel top applicator is flipping cool and I find my lips craving the formula. At the rate I am going, this will be finished up in no time at all. I don’t really use it on my eyes at all but the applicator has a lovely cooling effect in your eye contour. Uses: Hit the trifecta with reducing eye bags, firming skin and replumping wrinkles. 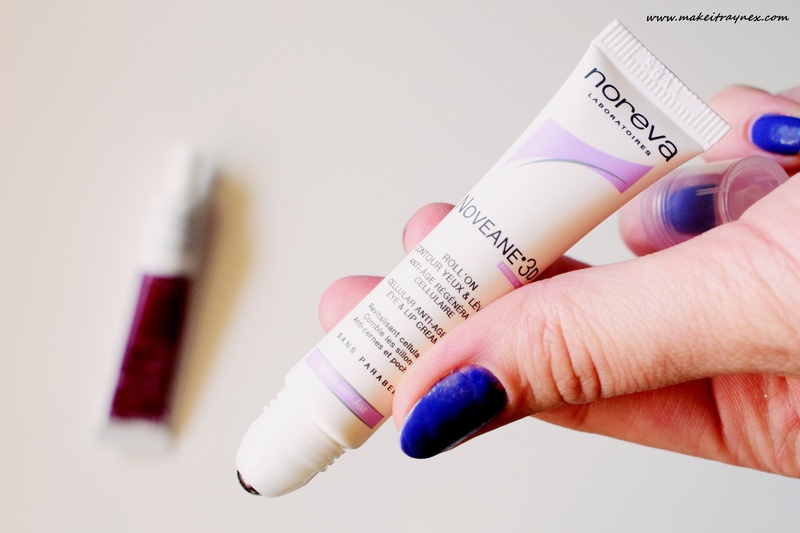 Rating: 4/5 – As far as diminishing the look of fine lines, this was the eye-cream that produced the best results. 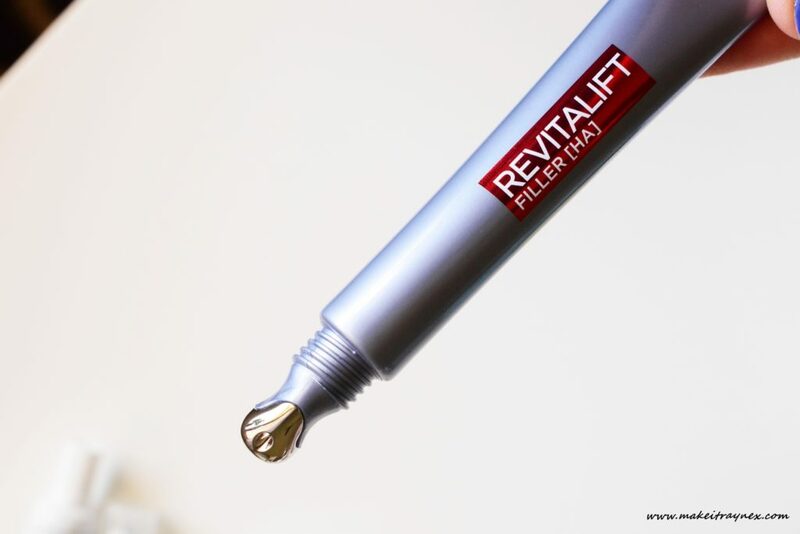 The applicator is the same as the Noreva (a different shape, though) but the metal has a cooling effect on the skin which really does help with puffiness. It has a noticeable difference in my very fine lines under my eyes and concealer on top barely creases. At the very least, it creases the least of all 5. Do you have any eye creams that you recommend I tackle next? 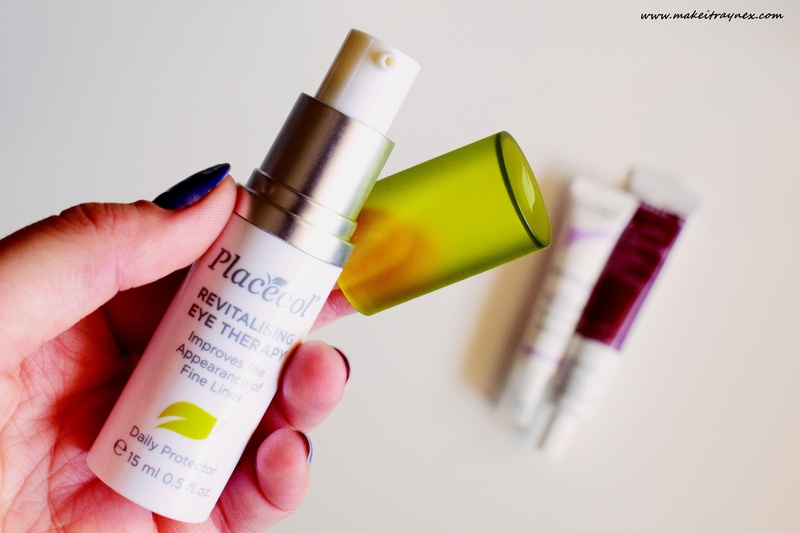 A previous version of this post was first published on Becoming You – thanks Kathryn for asking me to test out these eye creams!